The 1999 Science Fiction Action movie, The Matrix, directed by The Wachowskis and starring Keanu Reeves, Laurence Fishburne and Hugo Weaving is undoubtedly one of the most complex and entertaining movies of the late 20th century. The Matrix Trilogy began with the feature film The Matrix and continued with two sequels, The Matrix Reloaded in May, 2003 and The Matrix Revolutions in November, 2003. It features a cyberpunk story incorporating references to several religious and philosophical ideas. It also shows influences of various mythologies, anime and different martial art forms. Amidst all the breath taking visuals and action sequences this futuristic fantasy movie gives a lot of prominence to architectural styles and design. The Wachoski brothers’ keen interest in detailing was also evident in their recent release, Jupiter Ascending. The Matrix surprisingly contains many of the real world buildings along with the fictional virtual reality cities within The Matrix. 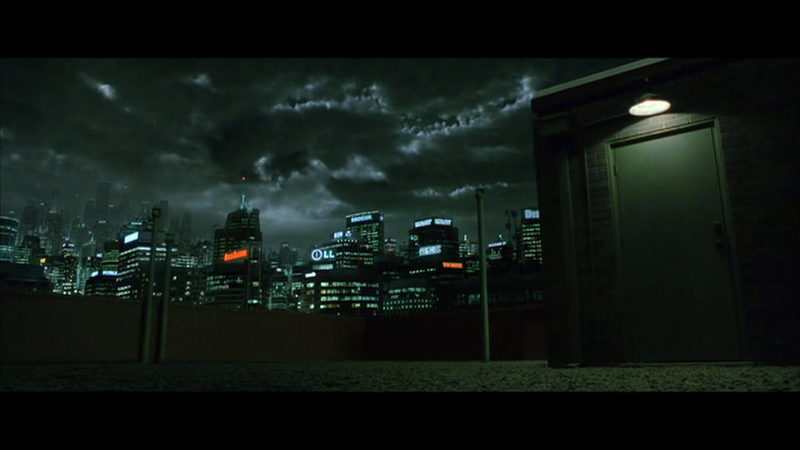 The most notable of architectural features in the movie is the Mega City, an enormous virtual city in which the inhabitants of the Matrix live. Mega City can be considered as a conglomeration of many cities fused into one large city with a gigantic downtown and an impressive skyline. The city was designed to represent an amalgam of major cities in the United States and Australia during the 1990s characterized by grey and utilitarian areas with small pockets of colour and entertainment. The cities that provided inspiration for the Mega City include Sydney (where most of the film as shot), Oakland (where some of the car chase sequences in The Matrix Reloaded were filmed) and Chicago (the birthplace of The Wachowskis). Hence we see yet another movie in which the major city is designed based on existing cities. Other examples include the Gotham City in Batman Trilogy and the fascist architecture inspired structures of Equilibrium. The concept of the city in The Matrix is actually an archetype of the hyper reality theory developed by prominent author Umberto Eco, who wrote the popular novel, The Name of the Rose, which was filled with detailed description of the cathedrals of Italy. 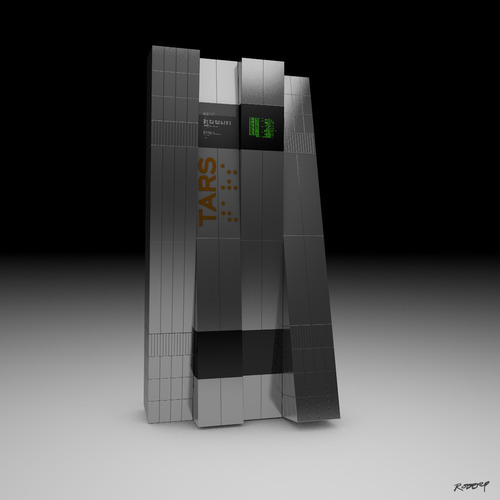 The hyper reality theory states that the virtual city constructed by the machines controlling the society is more convincing and realistic to its inhabitants than the real world itself. The logic behind the creation of the harsh grey and uninteresting landscape was to ensure that the unknowing inhabitants of the Matrix did not question their living space given that they lacked an alternative. It can also be possibly said that the City is an inhabitant-unique environment, where no one sees things the same way. 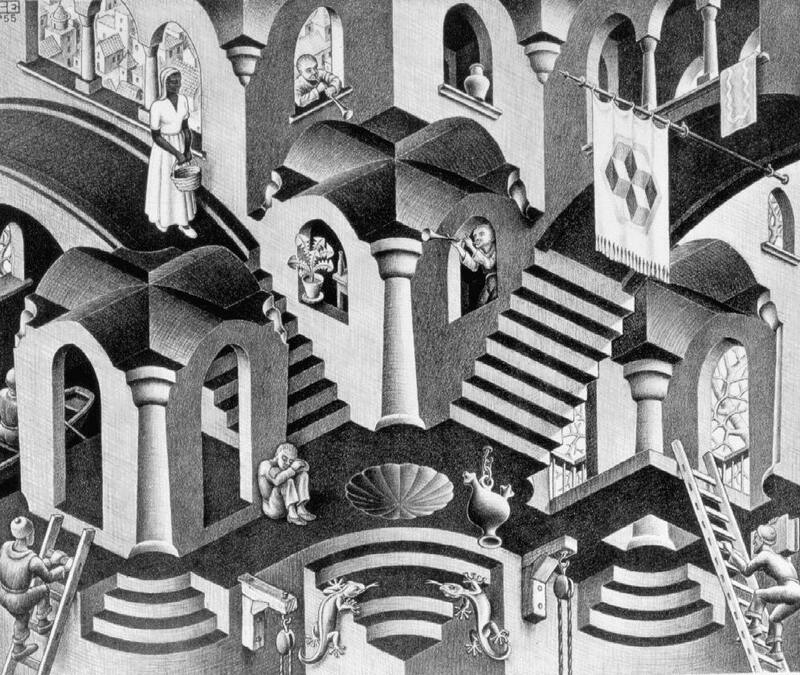 Other theories state that the visualization of the City could possibly be a result of the redpills’ experience outside of the Matrix. Further, Agent Smith (Hugo Weaving) describes to Morpheus (Laurence Fishburne) that earlier instances of the Matrix which were cheerier did not meet the expectations of the humans hosted within. 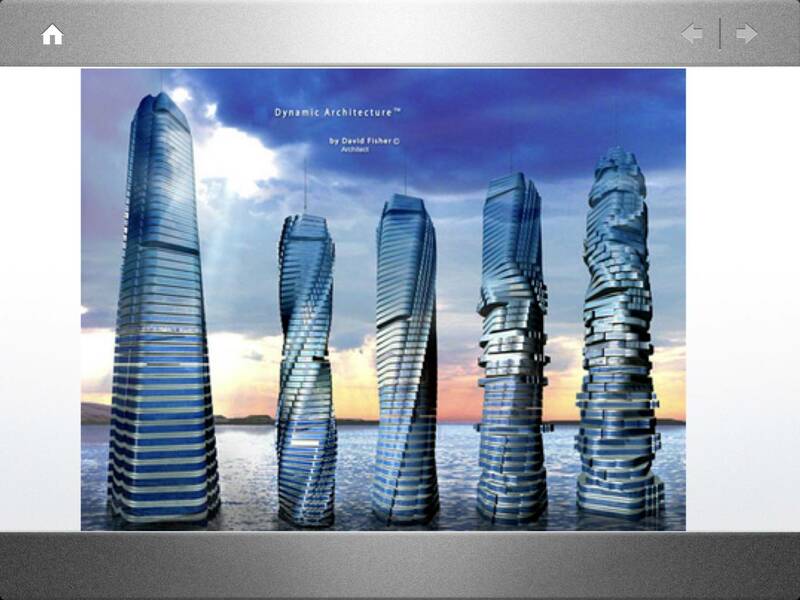 The Architect later expands on that explanation telling Neo (Keanu Reeves) that the first versions failed because they were designed around the two extremes of perfect paradise and absolute hell that the human mind was unable to accept. A map of Mega City later provided to the designers of the game The Matrix Online by The Wachowskis splits the city into four main districts: Downtown, International, Richland (ironically called the slums by the redpills), and Westview. The map shows that the actual shape of the city represents the Y-shaped symbol which can also be seen at the end of the code sequence in The Matrix Revolutions. An architectural feature that stands in stark contrast to the modern or futuristic styles in the old fashioned Chateau or the Merovingian mansion located in the mountains. The beautifully designed mansion is based on the traditional designs and is lined inside with numerous Greek like statues and ancient armours and weapons. The Chateau provides the audience a real world atmosphere amidst all the virtual reality. As mentioned earlier, many of the real world buildings and structures are either referred to or are seen in the film. The Sydney Tower is visible on the construct TV screen. In the famous roof top bullet scene the audience can catch a glimpse of the UTS Tower building. Other prominent buildings from Sydney that are visible include Martin Place and St. James railway station. Early drafts of the movie’s screenplay identified the city as Chicago and most of the street and landmark names referenced are from Chicago, such as Wabash and Lake, Franklin and Erie, State Street, Balbo Drive, Cumberland Ave, the Adams Street Bridge and the Loop Train. Apart from the cities of Sydney and Chicago, the film also refers to the Heathrow Airport, the United States Congress to name a few. Overall we can say that The Matrix Series captures the design of a futuristic all inclusive city with great detail and accuracy. With the huge influx of population to urban areas, the future cities would in all probability end up resembling the Mega City of The Matrix with loose connection to the base city from which it expanded. Marvel Entertainment’s ‘Guardians of the Galaxy’ directed by James Gunn is undoubtedly one of the most entertaining and visually spectacular movies of recent years. The movie is based on the Marvel Comics series and was produced by Marvel Studios and distributed by Walt Disney Studios Motion Pictures. It features a cast including Chris Pratt, Zoe Saldana, Vin Diesel, Bradley Cooper, John C. Reilly, Glenn Close and Benicio del Toro. The story revolves around a group of extra-terrestrial misfits who are on the run after stealing a coveted orb and find themselves in the most unusual situation of having to save their own galaxy. 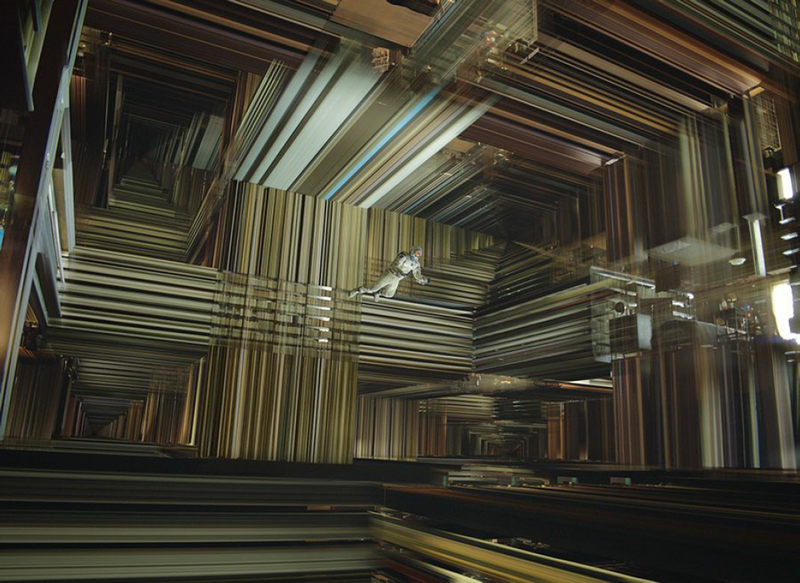 Like most of the movies based on futuristic themes, Guardians of the Galaxy also has a lot to offer to people with keen interest in art direction and architecture. 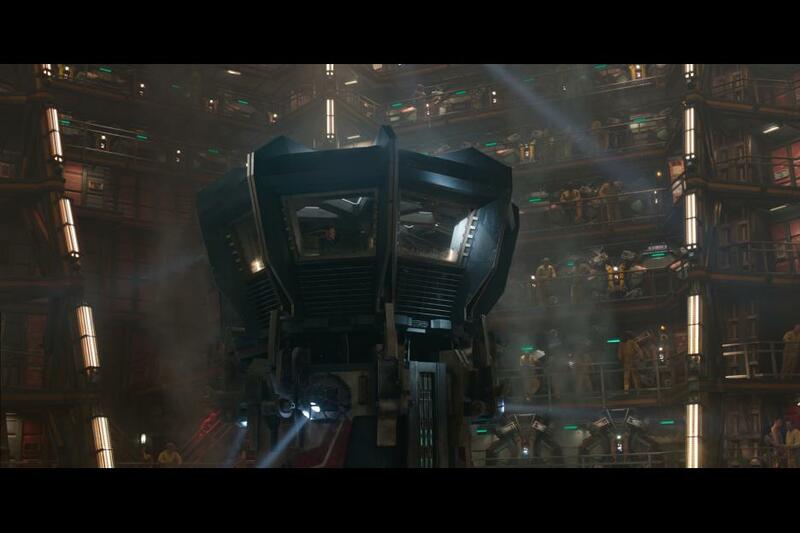 The first interesting building that caught my attention was the space prison named The Kyln where the Guardians initially meet. Apparently it was one of the largest buildings constructed during the production of the movie and it was later transformed into the Collector’s lab or Taneleer Tivan’s museum of curios. This cylindrical shaped 360 degree structure required almost 100 tons of steel across its three levels and was later extended by around 200 feet in post-production stage. The byzantine prison includes a series of steel corridors that connect cells to bays which are built on a steel frame on wheels. The structure is shown in great detail in one of the best action sequence in the movie. 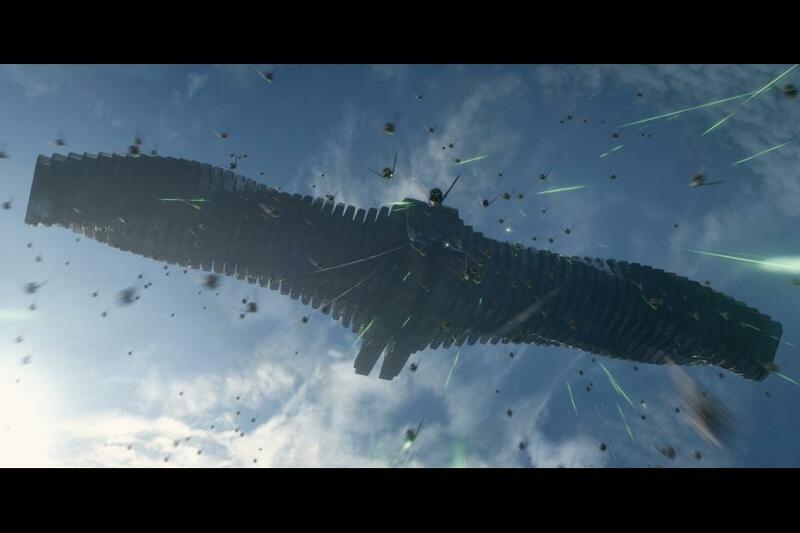 Xandar, the most Earth-like planet in the galaxy and the one the prime antagonist of the movie, Ronan, wants to destroy, is a stark contrast to an otherwise dark environment in the film. This planet with the brightest environment was created almost entirely on computer. 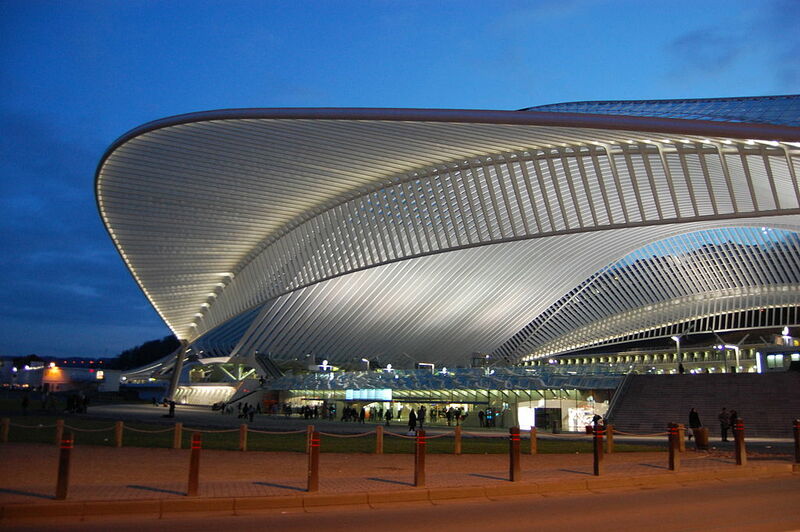 The credits of the film suggests that most of the structures on this planet draws inspiration from the works of renowned Valencia based Spanish architect Santiago Calatrava, specifically the white concrete, gorgeous steel and glass arch of the Liege train station designed by him in Belgium. Interestingly, this building has also appeared in films such as Bill Condon’s The Fifth Estate, featuring Benedict Cumberpatch and Lorna’s Silence (2008). Calatrava’s City of Arts and Sciences, Valencia was also one of the locations of the film Tomorrowland starring George Clooney and Hugh Laurie. Moreover the climax of the film Faust (2000) was shot in Bach de Roda Bridge designed by Calatrava himself. It must be said that the overhead visuals of the cities in the planet of Xandar with people walking, looks straight out of a 1950’s futuristic architectural drawing which one might find in Disneyland’s World of Tomorrow exhibit back in the fifties. It’s beautiful and bright setting is certainly a metaphor for the happy, peaceful planet that it is. However, the planet looks too clichéd and feels out of place amongst the rest of the galaxy. 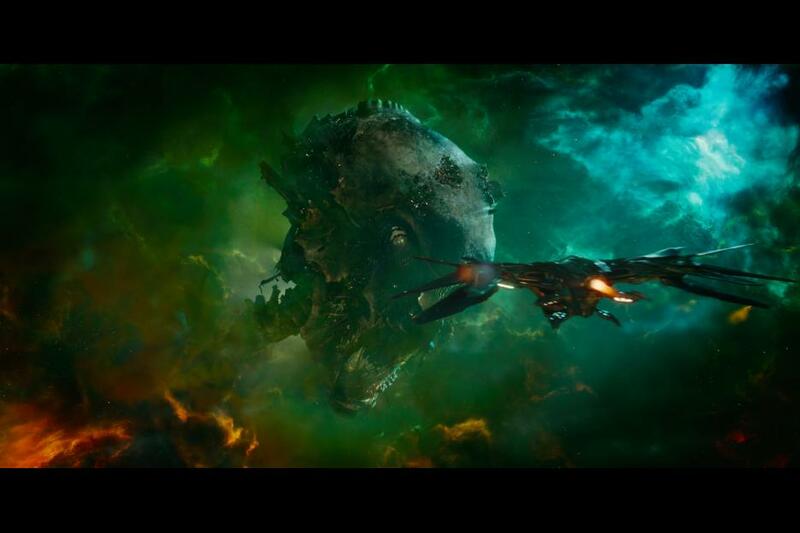 The most spectacular element in the movie is undoubtedly the mining outpost in the movie “Knowhere”, which is actually the decapitated head of an ancient celestial being. Framestore, the VFX team behind Guardians of the Galaxy built Knowhere with an astonishing 250 unique models of buildings, pipes, railings, and lights, assembled into a 1.2 billion-polygon world. The team remarked that the structure was so complex because there was a huge amount of geometry to contain in one space. 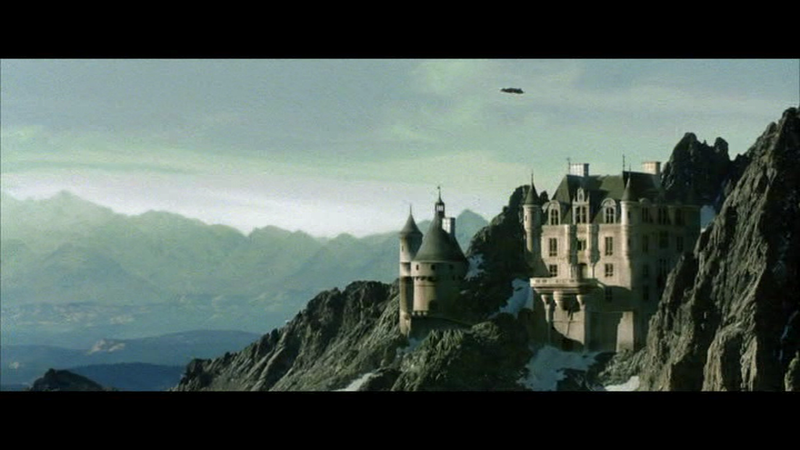 The first glimpse of Knowhere is one of the most visually spectacular scenes in the movie. It is said that the director and the production design team were inspired by the look of greasy industrial mining towns and built both the Boot of Jemiah and the Collector’s Lab with an eye towards inspired dirtiness. The Collector’s lab which also appears in the post credit scenes of the movie is expected to be shown in further details in the upcoming sequel of the movie. Another interesting structure although not a building is the Ronan’s ship – the Dark Aster which is said to have been inspired by a mausoleum. Here’s what director James Gunn had to say about Ronan’s ship: “It’s minimal and brutal, a stark grey colourless world devoid of any set dressing whatsoever, and relying purely on its heavy concrete-like architecture to convey its tone and function.” This can be compared to many of the fascist or soviet structures appearing in dark futuristic movies such as Christian Bale starrer Equilibrium. The fact that this movie has given great attention to very minute details can be explained by the fact that even the floor lamps and planters in the movie were product designs by Austrian architect and designer Martin Mostböck. His new floor lamp- “The Edge.01” and the planter – “Arrow” are featured in the blockbuster movie. Overall the movie is a visual treat for the audience and is a pleasant experience for people with an eye for production designs and architecture. I really hope that the upcoming movies in the Guardians of the galaxy series continue providing a visual treat for the spectators.